The Rotherham runner continues her meteoric climb to top with multiple scintillating performances in recent weeks. Hayley Carruthers ran 16:51, 34:05 and 2:47:47 for 5k, 10k and the marathon during a five-week period, scoring big PBs over every distance she’s contended this year. 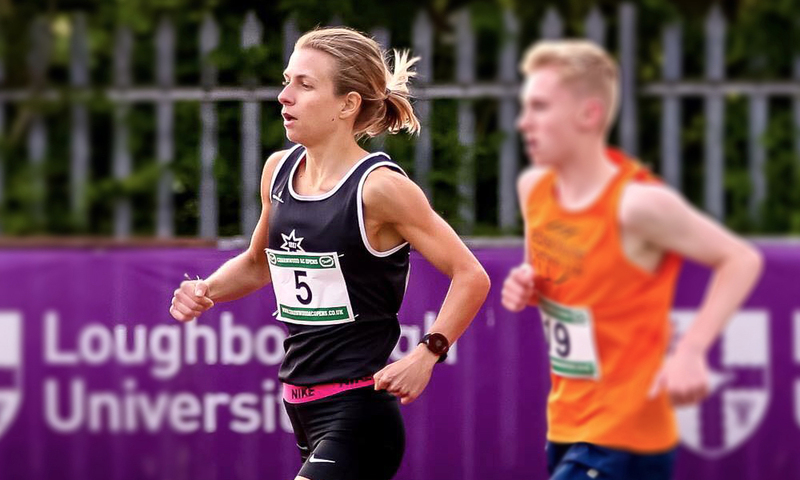 The 25 year-old, who previously spoke to Fast Running about her first steps into the world of competitive running, is now set to run her first ever 1500m on the track at the British Milers Club (BMC) Tipton meet. 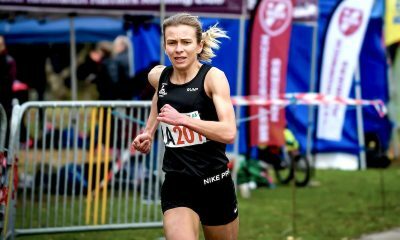 While she is guaranteed a lifetime best, it will be exciting to see what the Rotherham athlete can achieve over the shortest race of her career so far. Incredibly, Carruthers only started a coached training schedule seven months ago when she joined forces with Rotherham’s Gary Warhurst. During that time, she has also run a 79:10 half marathon and achieved the impressive accolade of topping the ‘fastest long leg’ table at the Northern Road Relays. However, it was when she knocked 35 minutes off her marathon PB to run 2:47:47 at this year’s London marathon on only her second ever attempt at the distance that she made her biggest impact on the world of athletics, earning an England Athletics silver medal as a reward. That result was only 80 seconds off the gold medal winning time (run by Saltaire Striders’ Hannah Oldroyd) and placed her firmly in the top 20 fastest British women this year. Carruthers followed that storming performance with the fourth fastest women’s parkrun time in the country this year when she ran 16:51 at Wolverhampton in May, just three days after posting – in her words – a ‘disappointing’ 10:09.25 3000m clocking on her debut. 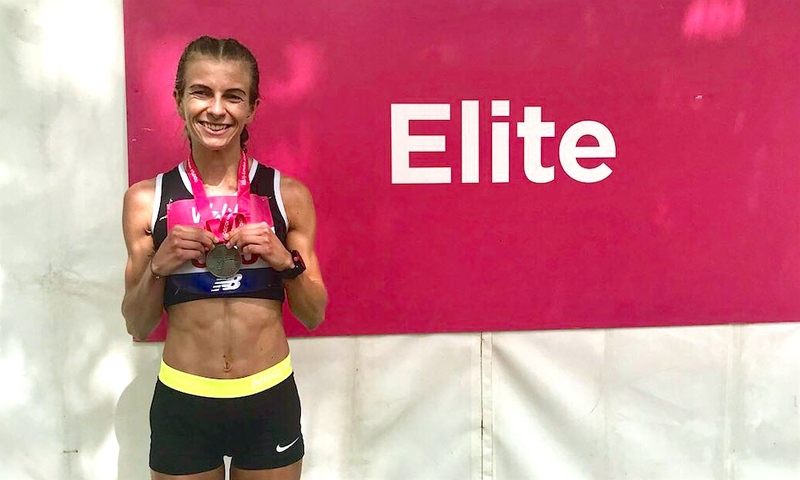 The Birmingham-based radiotherapy cancer researcher wasn’t finished with her red hot racing just yet, though, and completed her most successful five-week competitive period with a cracking 34:05 PB at the Vitality London 10,000, easily beating many of the more established elites in the process when she crossed the line eighth overall. 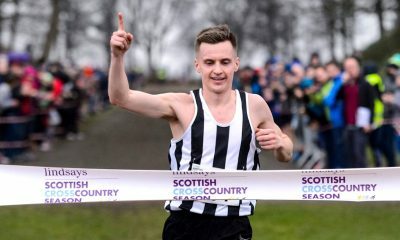 It’s refreshing to see a new athlete challenging for the top spots at some of the biggest races in the UK, contesting titles usually reserved for names more familiar to athletics fans from the last few years. We chatted to Carruthers about her racing breakthroughs so far this year, how she fuels her intense training regime and what’s next for the Brummy girl who just keeps getting faster. Fast Running: Well done on your fantastic London 10,0000 result! What did you think of the race and the elite athletes you were lining up alongside? Hayley Carruthers: I was really pleased with the result, although I thought I’d missed my goal of sub-34:30 when I saw my pace for the third mile was only just under six minutes. I wasn’t sure how but I felt I was going uphill most of the way on a course that had been described as pancake flat. Yes, it was another boiling hot day, but since the London marathon this hasn’t worried me as much, and if I’m struggling, it’s likely everyone else will be too. It felt like a very strange dream to be lining up alongside the elites, so strange in fact, that my usual pre-race nerves never arrived, making my coach very happy. My speed preparation included shorter repeats in sessions, such as 5 x 3 mins, 2 mins, 1 mins off a short jog recovery – it’s the hardest session ever for me, it feels never-ending. FR: Looking back to the London marathon – tell us about your 2:47:47 result, do you think you can go faster? HC: What an experience, it is definitely my favourite race to date. I felt great during the race, with only the odd ache! I had practised so many mantras and distraction techniques for when I would ‘hit the wall’, but the wall never came. The crowds carried me the whole way, and I can’t thank each individual enough! I think with a longer period of training I would have hopefully hit sub 2:45, and without the ridiculously hot weather – who knows! But we can’t change the weather, we can only prepare. I kept saying during the training I would never do another one, it was too much, but now I really miss it! It’s as if the further the distance you conquer, the bigger the satisfaction and buzz you feel. I definitely want to do another marathon, but it’s undecided when yet as I need to get some speed in my legs to benefit from the endurance! FR: You’ve run fast times for 5k and debuted over 3000m too since the marathon – how have you managed to run so quickly for such short distances off marathon training? HC: I have no idea! I did the Wolverhampton parkrun because I was frustrated I hadn’t got the time I wanted in my first 3000m track race three days earlier, and I thought I’d lost my speed by resting for pretty much two weeks after the marathon. It turned out I hadn’t! It was also the first time I had ever ran on a track or raced in spikes, so I think I need to be a little bit kinder to myself! In addition to this, it was also the first week I had done any ‘speed sessions’ since before the marathon. Hopefully, I can run a bit quicker in my next 3000m on June 23. FR: What does your coach, Gary Warhurst, think of your potential going forward? HC: Gary thinks I have a lot of room for improvement in the marathon, which is my longer term goal. But the focus, for now, is the track, with a view to increasing my speed and becoming more competitive on the road and generally just gaining more race experience. FR: How are you feeling about your forthcoming 1500m debut? HC: My mindset at the moment is to run as fast as I possibly can. It does worry me that the distance is so short that by the time it’s started it’ll be almost over, but I’ve done mile repeats before, so I’ll approach it as a mile repeat session instead of just under four laps of the track! I’m still not keen on the track as I don’t like going round and round in circles, but if it helps me become faster on the road I’m more than happy to do whatever I can to achieve that. FR: With all these challenging races you’re training for, how do you ensure you’re eating enough to fuel your sessions? HC: I didn’t change my diet dramatically for the marathon or changed it after, I just added a few extra carbs as snacks! It can be hard to think about what to eat that’s healthy and good fuel all the time, but I know I’m very grouchy and moody if I don’t eat enough carbs. I eat a lot of protein to help my muscle recovery, and add protein powder to my morning oats, eat lots of meat, eggs, and I love baked beans! FR: What other exercise do you do to support your running? HC: I do Pilates every Monday and I love it, it’s a great stretch out after my steady run and a good workout for my core too. I wrote a blog about my strength training programme which contains a guide to what I do during the week. You can find it here. FR: What are your race aims for the rest of the year? HC: I want to run a faster half marathon, and I hope to do that at the Great North Run in September as an elite. I’d love to run a faster 10k too, as sub-34 is calling my name, but first I need to teach my legs to move quicker over the shorter distances. My training sessions are focused on shorter reps now (such as 12 x 400m, 10 x 200m) to help me achieve this. 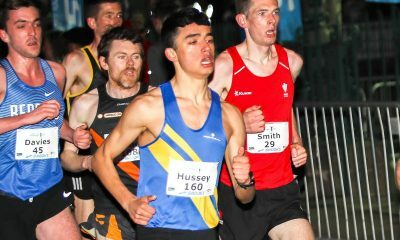 I have a lot of 1500m and 3000m track races planned for the summer, and I also hope to do a few more parkruns as I love the atmosphere. I have never done cross country before so I’m definitely looking forward to doing that at the end of the year, it seems like a great survival of the fittest event. It would be interesting to see how I do in a huge field of extremely strong women! I am so excited for this summer to see what could happen!